Faith is a matter that is considered very sensitive by many but has for along time sparked debates over practices that come out controversial and annoying to the eyes of the society. 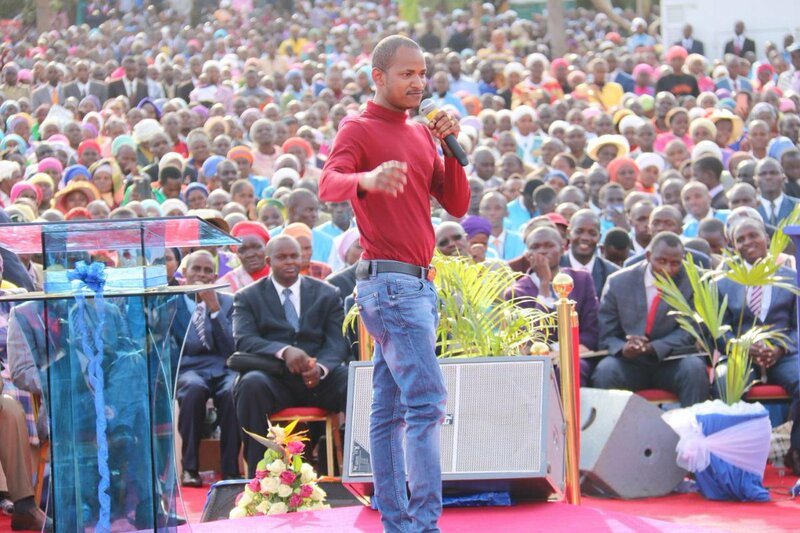 The Embakasi East MP Babu Owino has revealed that during the mighty prophet David Owour’s meeting on Sunday at the Central Park crusade in Nairobi,he made a vow promising to spearhead fight against the proposed bill to regulate churches. “I wish to assure all worshipers that I will be on the front line in defending the faith and ensuring the political class respects freedom of worship,” the lawmaker pledged. “We will not allow the devil’s hand to find its way into our society through politicians,” he added. His opinion was that, what God has given, truly no man could take away. Not even Parliament. Kangema MP Muturi Kigano, who is behind the proposed bill, strongly believes the law will curtail the growing trend of men of God swindling innocent Kenyans through church activities. The post Hon Babu’s vow to prophet Owour regarding the political class appeared first on Kenya Today.